May 2015: Electric car sales in Germany declined by 40% while hybrid sales were up 15% and plug-in hybrid sales nearly doubled compared to a year ago. 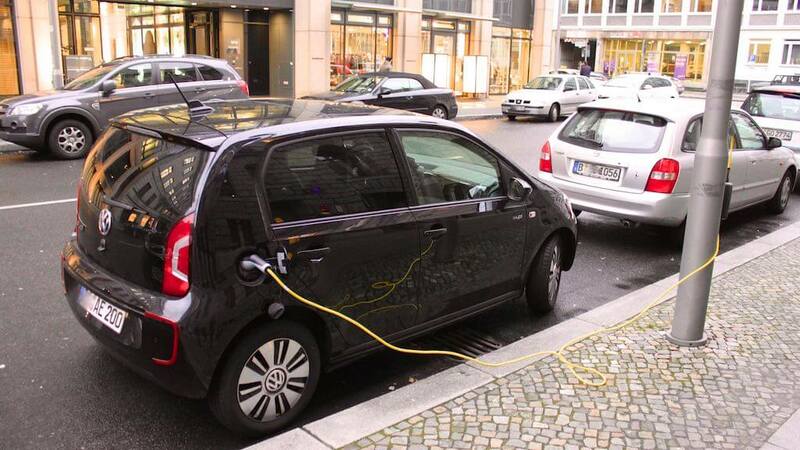 Electric car sales in Germany increased by nearly a third during the first quarter of 2015. However, new registrations of electric vehicles have been disappointing in recent months with year-to-date increases a modest 7.5%. Sales of hybrid cars have also been less than spectacular with a 16% increase year to date with most of the growth coming from the plug-in hybrid car market. More plug-in hybrid cars than purely electric cars have been sold in Germany thus far in 2015. Plug-in Hybrids are included in the hybrid total as well. New electric passenger vehicle registrations in Germany in 2014 increased by 40% but due to the low actual numbers, launching of new models or deals with car rental companies allowed for wild swings in monthly figurers. Growth in new electric car sales were negative during the last quarter of 2014 making the increase by a fifth in new electric car registrations in January 2015 somewhat surprising but insufficient to indicate a firm trend. In February 2015, electric car sales duly declined again by near 10%. However, in March 2015, new electric car registrations were up by 55% with more electric cars sold in March than in January and February combined. In April, electric car sales increased by 14% year-on-year but the number was only around half of March 2015 sales. The downwards trend continued in May with new electric passenger vehicle registrations in Germany down by nearly 40% in May. The number of electric cars sold in Germany during the first five months of 2015 increased by only 7.5% to 3,631 cars – less than plug-in hybrids. During the first quarter of 2015, electric cars had a market share in Germany of only 0.4%. Hybrid car sales in Germany in 2014 increased by 4% but since mid-2014, the growth has mainly been in sales of plug-in hybrids. The unavailability of plug-in hybrids during the first few months of 2014 flatters the 2015 growth figures. Hybrid car sales were up by a quarter in April 2015, and although registrations of plug-in hybrids increased by 233% that increase was only about half of what was recorded in the previous two months. In May 2015, plug-in hybrid sales “only” doubled compared to a year ago. In Germany, plug-in hybrid car sales have now clearly overtaken that of purely electric cars. This trend is in line with the predictions of German carmakers: car buyers keen on electric cars still want the range and versatility of regular petrol and diesel cars. An added bonus is that these plug-in cars reduce the important emission numbers for the entire fleet, which explains the availability of plug-in hybrids from the top German luxury car manufacturers.